On the Cover: A team of university researchers from Colorado and Nebraska demonstrated strategies for solving the engineering and regulatory challenges of research flights with semi-autonomous unmanned aircraft in the boundary layer of U.S. airspace over land. Adam Houston, Brian Argrow, Jack Elston, Jamie Lahowetz, Eric W. Frew, Patrick C. Kennedy. January 2012. The Collaborative Colorado/Nebraska Unmanned Aircraft System Experiment. 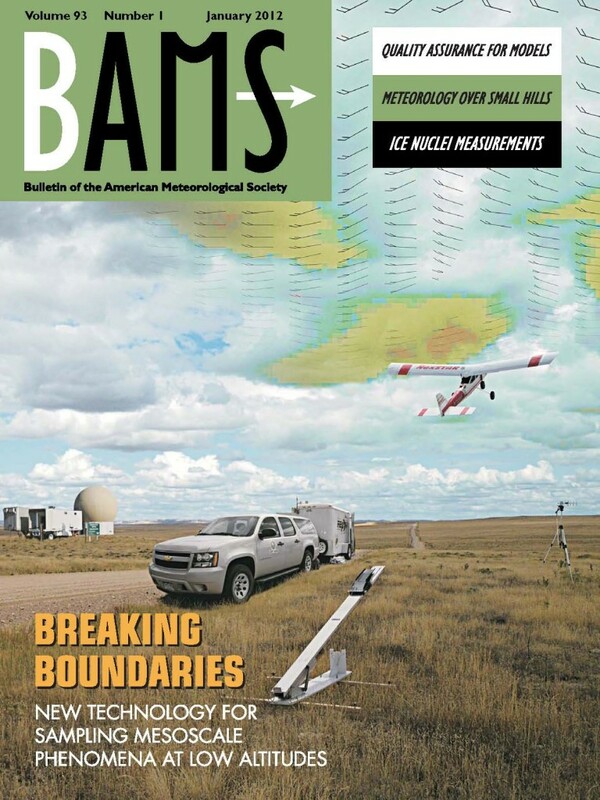 Bulletin of the American Meteorological Society 93(1), pp. 39-54. Adam Houston is associate professor of earth and atmospheric sciences; Jamie Lahowetz is a staff member in the School of Natural Resources.